While most churches of a Reformed (usually Arminian) background, as well as a growing number of “Lutheran” churches, seek to make their services entertaining and emotionally moving – probably connected to their emphasis on free will and personal decision – Lutheran worship is replete with the Means of Grace and centered around Christ and His redeeming work. We begin with confession and absolution (John 20:21-23; James 5:16); worship with psalms and hymns which tell of God’s grace and mercy in Christ Jesus (Colossians 3:16); read the Holy Scriptures which are able to make us “wise unto salvation through faith which is in Christ Jesus” and are “given by inspiration of God, and … profitable for doctrine, for reproof, for correction, for instruction in righteousness: that the man of God may be perfect, throughly furnished unto all good works” (2 Tim. 3:14-17); hear the Word of God preached and applied to us in accord with the Apostle Paul’s directive to Timothy and Christ’s great commission to “Preach the Word” and teach all things Christ has commanded (2 Tim. 4:1ff. ; Matt. 28:18-20); are reminded of our baptism (Titus 3:4-7); and receive the body and blood of Christ given and shed for us for the remission of sins (1 Cor. 11:23ff.). 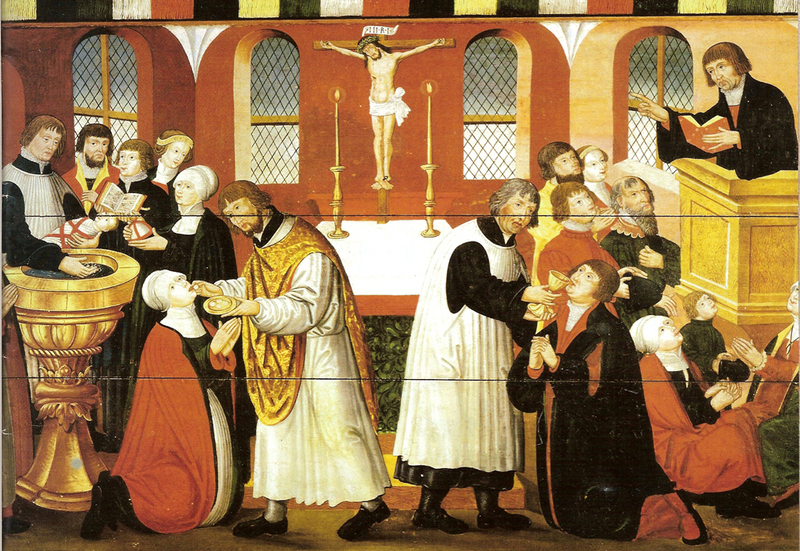 Lutheran worship is centered around Christ and His Word and Sacraments, the means by which God comes to us sinners and creates and sustains faith in Christ Jesus in our hearts. Lutheran worship may not always be entertaining or even emotionally moving, but it ministers to the greatest needs of our hearts and souls and makes it possible for us to respond to God’s grace and mercy in Christ Jesus!